For most golfers, it's a hands/arms effort. There's a tiny, little pivot, then an abrupt lifting of the arms because that's the only way they can make a backswing. And from the top, since there has been virtually no turn, the only way back to the ball is with the hands. Enter SwingLINK ! This teaching aid can turn you into a more powerful striker of the ball literally in minutes! It keeps your arms and body linked together as a single unit. With SwingLINK , it is impossible to do anything else! It keeps the major muscles in control and the arms in their proper position, AUTOMATICALLY! You'll have an immediate feeling of a more compact, powerful swing! You'll sense the major muscles moving the smaller ones. 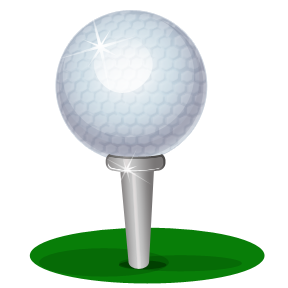 If you want to make the "dog wag the tail" in your golf swing, this one's the answer. 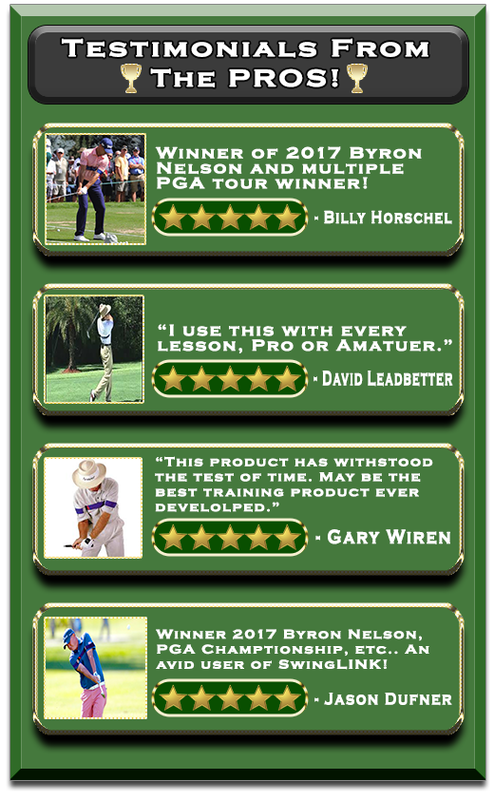 SwingLINK is being used by hundreds of touring professionals on the PGA, LPGA, Senior and Buy.com tours; by college golf teams; and at the finest instruction schools in the country. *Note - Prices will be going up to the $49-$59 range soon so get this current $29.95 price while you still can! Get FREE shipping while you still can! 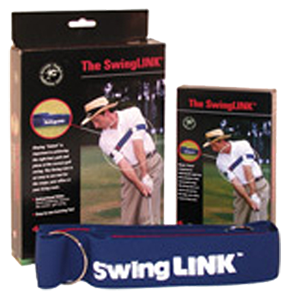 Order your copy of the SwingLINK band now to begin perfecting your golf swing & overall game! Order today & receive your package within 3-5 business days!